Intensive skin care in the shower for a healthy look and excellent skin condition. Rich in Omega 3, 6, 9 fatty acids, Macadamia oil softens and soothes the skin, leaving it feeling silky smooth. 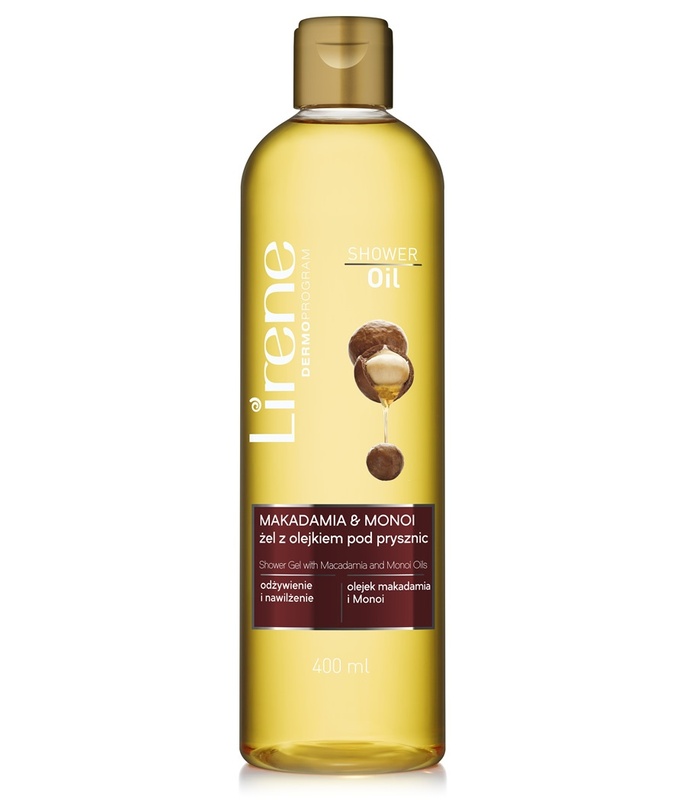 Monoi oil improves skin appearance, moisturizes and provides intense nourishment. How to use: apply gel to wet skin. Gently massage with circular motions and rinse off thoroughly. After drying, use a Lirene body balm of your choice.